This is certainly not the first time we’ve seen dashcam video of dealership techs doing stupid, embarrassing, or disrespectful things to or with customer’s cars, and I suspect it won’t be the last. 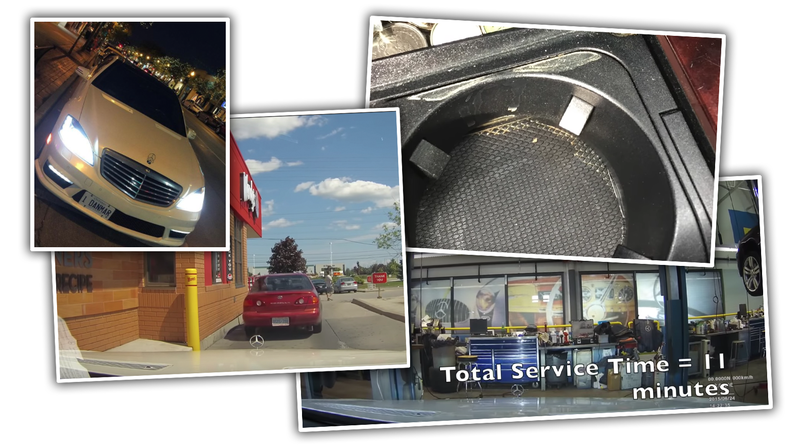 Daniel Shiekhan took his Mercedes-Benz S63 AMG in for a transmission service to a Toronto-area Mercedes-Benz dealership, and his dashcam recorded everything, including a run for some Wendy’s Frosties and an hour and a half of labor time that somehow only lasted eleven real-world minutes. While this video doesn’t quite have the same insane customer-car-hoonery we’ve seen in other videos, there’s plenty to be concerned about here, like using customer cars for staff errands, dishonesty regarding actual labor time, techs allegedly cracking one of the car’s wheels, and, perhaps most shockingly, the fact that Roberto is too cheap to pay for his own ice cream. Also notable in the video are the techs talking about how cheap Shiekhan and all rich people are, the fact that more of them ordered vanilla Frosties instead of chocolate ones, which is crazy. It was actually the whole Frosty part of the incident that triggered Sheikhan to watch the dashcam video at all; Frosty residue in the drink holders caused him to realize that maybe his car wasn’t just being serviced at the dealership. My lawyers also told me not to share the video anywhere until we hear back from Mercedes because if we share the video there’s not much to negotiate so I held onto the video and then after two years when I realize they are not replying or even interested I just decided to post it to raise awareness. One of the service techs wasn’t even aware that Sheikhan had purchased his own parts and that those parts were in the car’s trunk until the other tech points it out for him on the work order. That, along with only eleven minutes of work despite being charged for 1.60 hours of work ($236.80 Canadian dollars for just the labor) does certainly not speak well about Mercedes-Benz Mississaugua’s service department. We are aware of this video, which was recorded during a service appointment that took place on June 24, 2015. In no way do we condone or tolerate the behaviour shown in the video. We investigated this incident two and a half years ago and appropriate actions were taken at that time. Mercedes-Benz holds itself to the highest standards of customer service. The behaviour on the video is inconsistent with our policies and inconsistent with the professional pride with which Mercedes-Benz Canada personnel are expected to carry themselves. This was a learning experience; we always strive to be better for our customers. His hope is to receive a detailed answer about the steps Mercedes is taking to ensure someone doesn’t end up with a similar service experience. Sheikhan has plenty to be upset about here. When you bring your car into a dealership for service, you’re not handing over a your ride for someone to have fun in or take on errands. This is a pretty significant violation of the customer’s trust. Equally or perhaps even more upsetting is the dramatic overcharging for labor time. That sort of overcharging is the sort of thing most people suspect happens fairly regularly at dealerships, but it’s distressing to see it actually happen, and so dramatically. The amount of time charged for labor here was over ten times the amount of time the car was actually worked on. Even with flat rates for labor, that seems excessive. It’s not even clear how much was actually done to the car. Sheikhan suspects that in that amount of time, all they did was flush the transmission fluids. 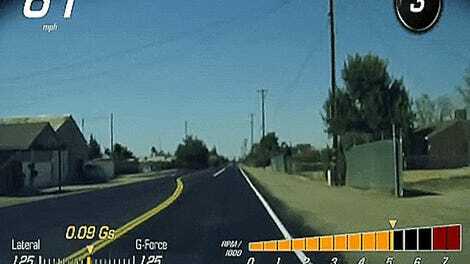 We’ve seen videos like this fairly often, even though a fairly small percentage of cars actually have dashcams, suggesting this sort of behavior may not be that unusual. Having a dashcam active when you take your car in for service is a good idea, and perhaps its very presence will help keep techs from doing anything stupid. If, of course, they notice the dashcam. If they don’t, well, then just send the footage to us. It’s also worth mentioning that most dealership techs do their jobs well and responsibly, and these cases are the exception. Was This Car Dealer Employee Really ‘Joyriding’ In A Corvette?